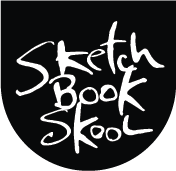 We’re just a little over a month from the first day of Sketchbook Skool. Every week or so, we’re going to do a little Skype chat with one or another of our teachers about what’s coming up and what they have planned for their klasses. Here’s the first one in which I tell Koosje what I have in store for you. If you’re having a problem watching this on an iPad or Mac, please make sure you have updated your system. There was a very important update from Apple today that protects your security. I urge you to make sure your system is current. That may not be the cause of the problem with this video, but I have tested it on an updated iPad and a Powerbook and it is fine. Yay! Can’t wait! All signed up and ready to go! How nice to hear, Dustie! Sketchbook Skool is just online. Check out our website to find out more. Danny and Koosjie, Thanks for starting this series of videos. I have been hesitating about signing up because I need to understand the goals for each of the sessions to see how they will match with my personal goals. Your video was a great start. I am paraphrasing you here, but I think you are saying that you want to get the group started in the first session interpreting their world(s) through drawing and learn what illustrated journaling and sketching is all about. The goal is not to draw perfectly but to become more creative and inspired. You emphasized how the participants will stimulated each other through sharing their thoughts and their drawings in an on-line community. Caryl, you might find more fodder for your decision-making in my recent blog post, My way or the highway. The video keeps cutting out on me…my Mac Book Pro. I don’t understand why. I’m concerned that I won’t be able to take the class! Have you ever watched any of my videos before? Did they cut out on you? The video keeps cutting out on me also. I have watched your other videos with no problem. Having same issue as Rosanne. Stops playing after about 5-10 seconds. Same computer, MacBook Pro. I don’t remember if I’ve watched any other videos. Tried again and got 3-4 minutes into video before it shut off. Tried a few more times and finally was able to play the whole video. I am so ready for this. I’m currently between jobs and making art has taken a back seat to the grind of job-seeking. Then I feel guilty that I don’t make time for art and nourish myself. So this is a terrific prompt, a way to do something good for my soul when I’ve lost something so important. Also, my husband suggested I do this AND your class at the Open Center here in NYC (and Seth Apter said not to miss it too!) So I’m all in! Can’t wait to see what’s in store and meet the artists and my Klassmates. Yes! Two things I’m really looking forward to: Spring and Sketchbook Skool! And they will be happening together in my neck of the woods. Come on April 4th! Oh, too, funny!!! As soon as I left my last message and by doing it “signed in ” with Word Press, Bingo!!! The video worked as I gave it one more try! LOL! Great video and can’t wait for April 4 to come around! I draw everyday, but still know I’ll learn so much from Sketchbook Skool! I got through about four and a half minutes of your video, Danny, Koosje, and it stopped. Couldn’t get it to play anymore, even pushing the time forward a bit. So sad. I’ve never had that happen before with your videos, and I’m on a Mac. Looking at the previous comments, maybe something’s changed in your video tools that doesn’t work well for Macs? Won’t play on my iPad either. If you’re having a problem watching the video above on an iPad or Mac, please make sure you have updated your system. There was a very important update from Apple today that protects your security. I urge you to make sure your system is current. That may not be the cause of the problem with this video, but I have tested it on an updated iPad and a Pbook and it is fine. I upgraded my iPad like you advised, and it seems to play the video okay. The Mac computer still gets stuck halfway, though, so I’ll either see if there’s an update that might help, or just watch the videos on my iPad from here on out. Apple posted an update for laptops last night. I recommend you install it. Koosje wat een gaaf project… ik hoor dat je uit Nederland komt… waar? Leuk hoor! Ja dat kun je wel horen he! En de naam geeft wat weg… Waarr? Amsterdam. Danny,I am not sure if the Skool is suitable for me and seek your advice ,please. I have the use of one hand only due to the result of a stroke.If it requires writing,I have difficulty, as I learning to do things with my non dominate hand.I have managed to painting and drawing again,but decent writing is proving difficult.Could you please advice?Thanks. Dorrie, the amount you participate is up to you. There may be a few questions in each klass which you can answer with a sentence or two but if you prefer to simply follow along and read others responses, that is fine. The main point is to draw and if you can do that you’re in business. I upgraded and was able to watch on my Mac…thanks…excited to start!!! Hi Danny – I am using a Windows 8 laptop and the video cuts out right before you start to give your talk about the first class and your approach. Have reloaded a few times but no luck. I have previously watched many of your videos on this computer with no trouble. Not sure if anyone else is having trouble on a PC. By the way, I can’t wait for Skool and I just signed up for your workshop in NYC on April 5th. So excited! I can’t view the video on my updated ipad (URL not found on the server) or my Dell laptop (it skips from 1:17 to the end). I’ve never had trouble viewing your videos before on either device. I am on a Samsung laptop and the video cut out much the same time as Maxine – 5 minute mark. Do hope the Sketchbook videos won’t have the same problem… i’ll try again on my updated iPad. FYI – I had a problem when I tried to view the video from Danny’s blog but when I go to the VIMEO website directly I had no problem at all. I have a windows 8 Dell laptop. Hope that helps! It works on my iPad so not sure what the problem is…. I’m registered for Sketchbook Skool and have watched all of the update videos. I’ve seen you, Koosje, Tommy, Prashant and Roz. Who is the sixth teacher?